Wallside Windows was founded in 1944 by Martin Blanck, and he grew his company by having a steadfast commitment to always perform quality work for his customers. Wallside Windows started with a few employees and machines and has grown through 3 generations. 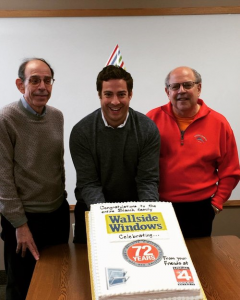 The original facility was 7000 square feet and throughout the decades they have grown into their 72,000 square foot facility, but throughout all the growth, Wallside Windows has maintained a strong commitment to their key values. Wallside sells primarily to the residential replacement window and door market, direct to homeowners, ensuring a controlled quality process from beginning to end. 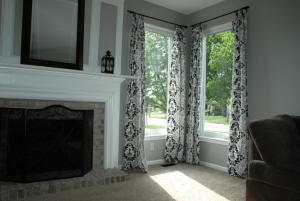 Due to working directly with homeowners, Wallside knows what homeowners look for in windows and functional hardware. 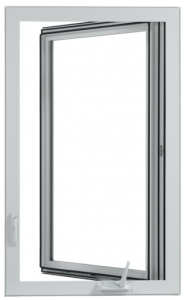 Today, Wallside purchases casement, sliding patio door, and hung window hardware from Roto. Wallside specializes in PVC products and utilizes Roto’s multi-point locking system for casement windows, which provides the end users with a secure and high-performing product. “Roto is the best of both worlds because their products bring together both function and fashion. Roto offers hardware that is aesthetically pleasing, with a modern and sleek design while maintaining high standards,” says Blanck.